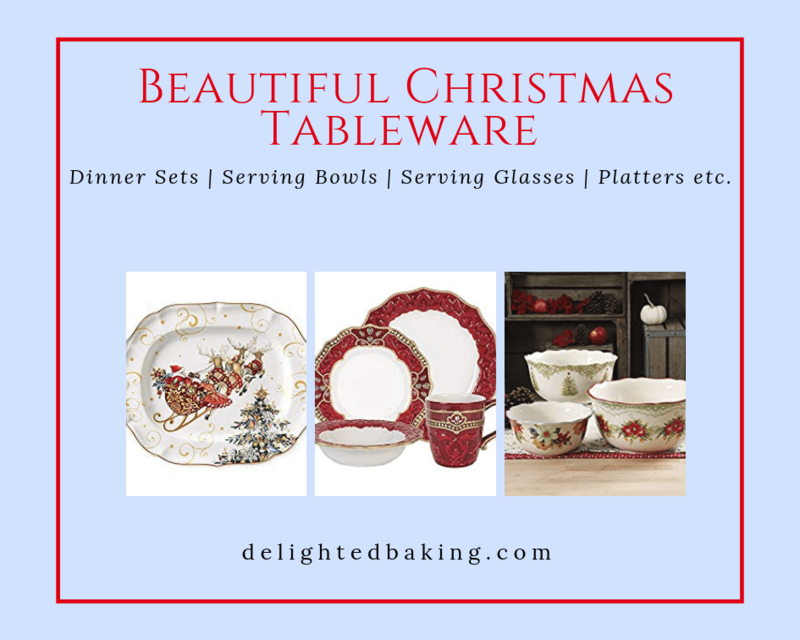 Collection of Christmas tableware & serveware : Includes serving bowls, plates, dinner sets, glasses, platters etc. Brighten up your Christmas table with these beautiful masterpieces! One of the important part of Christmas celebrations is food, right? We all love our Christmas cakes, cookies, casseroles, pies, hot chocolates etc. You must have already started planning this year’s Christmas party menu. 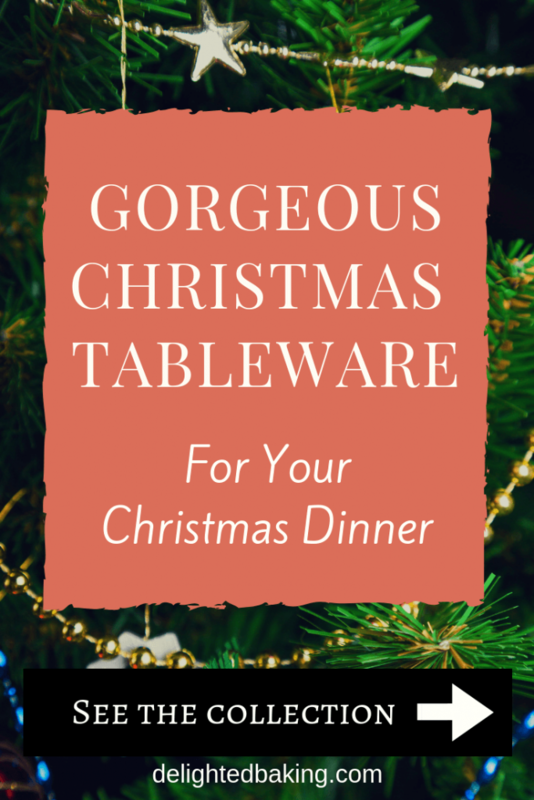 To help you in this planning, here is a collection of beautiful Christmas tableware and serveware. I came across these online and I loved these beautiful tableware. Well, won’t it be exciting to serve food to your guests in these beautiful Christmas themed tableware and serveware. 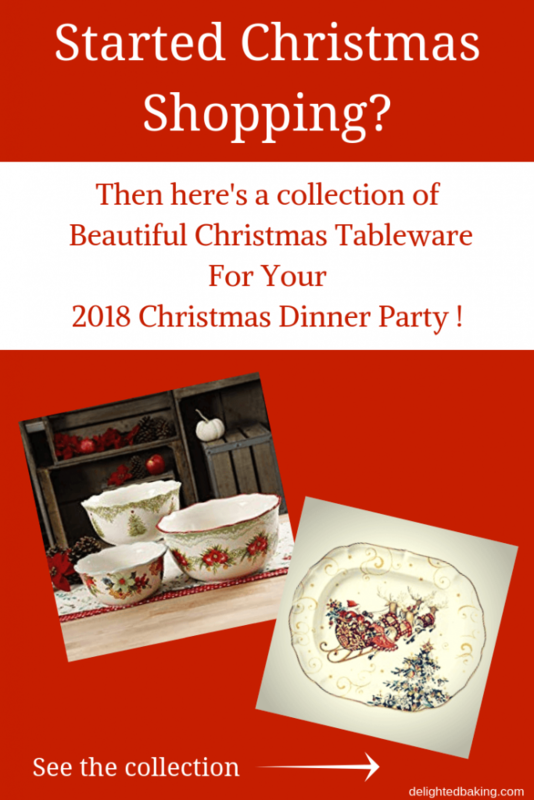 This collection consists of Christmas dinnerware, Christmas serving dishes, Christmas soup bowls, Christmas salad plates, Christmas dessert plates, Christmas glasses and many other beautiful Christmas themed tableware. Add elegance to your table with this beautiful dinnerware Set. The elegant construction makes it a perfect way to accentuate all your holiday dinner parties. – 4 x Salad plates. – 4 x Canape plates. Well, Red is the color of Christmas and this beautiful dinnerware set is definitely a great option to go for. Rich and opulent Christmas dinnerware with embellishment and hand painting. This Santa themed dinnerware set is perfect for any Christmas party. This set includes 4 Each: Dinner Plates, Salad Dessert plates, 18 oz. Mugs, and Ice Cream Bowls. Winterberry dinnerware is the holiday classic that brings this timeless motif to life in elegantly sculpted dinnerware & serveware, beautiful glassware and joyous giftware. This square set is a nice departure from conventional round dinnerware, or you can mix and match the two. 24 piece square dinnerware set, service for eight includes (8) each of: 10 inch square dinner plate, 8-1/2 inch square salad plate and 24 ounce soup cereal bowl. These are perfect for you if you are not interested in buying a full dinnerware set. You can use these Christmas serving bowls along with the dinner set you already have. This holiday-themed ceramic serving bowl features a spacious 10.75″ diameter. A motif of holly leaves and berries line the outside of this bowl, completing the table’s festive atmosphere. I really like the leaves and berries motif on the sides of this serving bowl. This one would definitely look good on a Christmas dinner table. The elegant and spacious Holiday Covered Dish makes hosting holiday meals easier. The ceramic dish is decorated with Lenox’s iconic holly and berries motif. This is indeed so beautiful and full of Christmas feel. Includes (3) ceramic serving bowls. Perfect to add holiday charm this Christmas season! Pioneer women products are indeed beautiful and this set is surely a great option. Come prepared to host a festive and delicious holiday feast with this classic ceramic Holiday Gravy Boat with Stand. The boat and stand feature a robust motif of holly leaves and berries. Christmas Glazed Ceramic Red Silver and Joy Snowflake Decorative Bowl. This elegant, hand-glazed ceramic bowl sparkles with silver snowflakes. Perfect for all your Christmas and Holiday decorating and serving. The food-safe design will long bring joy to your holiday table! Great for accenting your home this Holiday season – perfect on it’s own, filled with candy, or even as a planter. Makes a great gift too. This 2-section serving bowl features a traditional holiday pattern with a cardinal holiday icon on top. This adorable bowl is perfect for serving different flavored butters, spreads or dips. Also great serving candies, mints, or nuts. Timeless design complements any holiday decor and is ideal for both formal or casual holiday dining and entertaining. Beautiful glasses for your Christmas dinners. Hand painted and crafted of fine clear glass. Packaged in Christmas pattern gift box, ready for gift-giving. These would look amazing on your dinner table. These cute snowman glasses would be loved by everyone, especially children. Set includes (4) Four Glasses. Enjoy some holiday libations with the 4-piece Iced Beverage Glass Set. A festive motif of holly leaves decorate the sides of these glasses. This set is ideal for serving a cold beer or other chilled beverages. Made of durable glazed porcelain. Decorated with vibrant, vintage-style artwork of Santa’s reindeer and a festive tree. Celebrate the magic of the season with serveware inspired by the legendary 19th-century American poem “A Visit from St. Nicholas.” Decorated with a vintage-style portrait of jolly old St. Nick leading his team of reindeer, our spectacular porcelain platter is sized to hold a whole turkey or holiday roast. I really like this platter. The color is deal for Christmas. The Christmas tree in the center perfectly enhances the overall look of this platter. This suits the Christmas theme perfectly. Just zoom the pic and see the beautiful detailing of this platter. is a wonderful way to share the joy at any party or just a holiday evening. Bring extra festive flair to main dishes or appetizer arrangements with this stately tray. The perfect gift for the winter seasons, or for a collector to proudly display. This serving platter is a spacious 15″ in diameter. The ceramic platter is framed in a motif and a wreath is featured at its center. Tree Plates made of 3pcs smooth, durable porcelain in an all-white glaze and a Bamboo Tray. Using the removable trays in different ways (all 3 together as a Christmas tree with the bamboo or 1 or whatever). Safe in the microwave and dishwasher. Made of durable porcelain in a glossy, all-white finish, the plates won’t discolor or craze even after extensive use, and are safe for warming food in the microwave and cleaning up in the dishwasher. This is another simple, plain and classic platter. If you like simple designs and tableware, then this is perfect for you. This would be perfect as the center piece of your dinner table. The look, colors, pattern; everything is beautiful and your guests would love this platter! I hope you find the perfect Christmas tableware for your dinner party. Like this collection? PIN IT and share it with others! Welcome to Delighted Baking ! Hi! 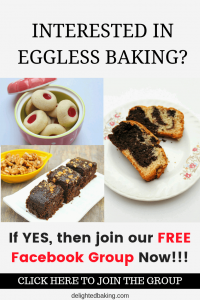 I am Sakshi Bhatia, the person behind delightedbaking.com.
" Happiness is... Of course BAKING !"